As for local service, everybody seems to love Patrick at Midnight Motorsports. I have not been there, but have not heard any complaints; other than the fact that he is very busy and it takes some time to get in. Hi, I am Sam. I have a 76 Schwartz 2002 that I bought last August. It had been sitting for 5 years outside, it is now a regularly driven vehicle that is getting better everyday. I live in Anacortes and agree that we should have a small meet at penguin. I'm in the Seattle area really close to Boeing Field. On Aug 11th there is a Classic Car Cruise-In at LeMay's also. it's from 5pm-8pm. 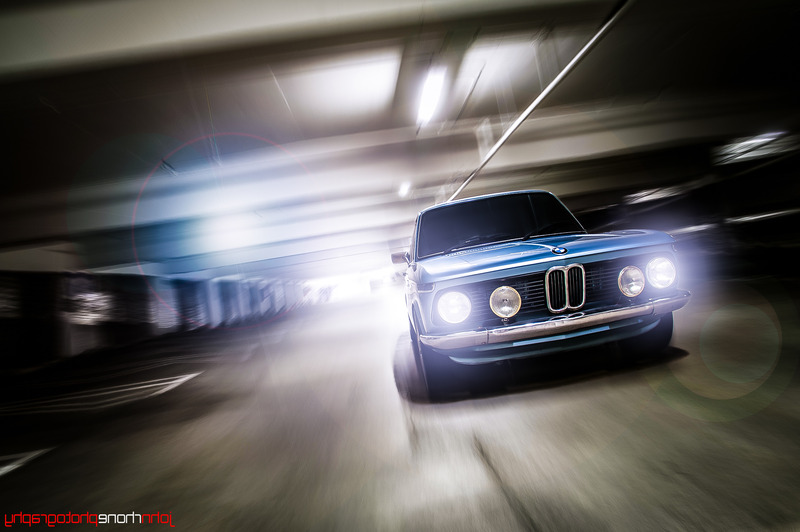 It would be cool to see a bunch of vintage BMWs there. Sat Aug 13th is the BNBNW (built not bought northwest) meet up on the top level of the garage at Renton's Regal Cinemas The Landing at 4pm. 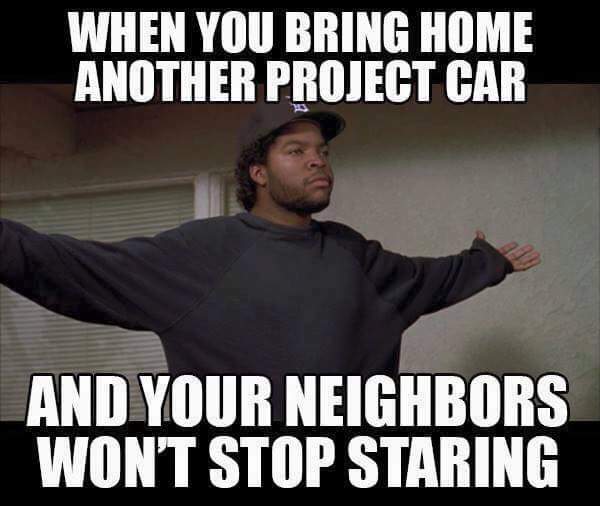 I'm sure there will be mostly new jap import cars there - but idgaf. I'm going. THE BIG ONE you all should go - Sophisticated Euro - The European Car Event Sunday Aug 14th 10-4 at the Kelley Farm in Bonney Lake. There is an entry fee for this, but it's also going to be really big. And then Sat Aug 20th 8a-6p is the 20th Annual Tacoma Classic Car Show on South tacoma Way between 50th and 56th. They close south Tacoma way for this, judged classes, prizes, t-shirts, the whole deal - so there is an entry fee of $20. 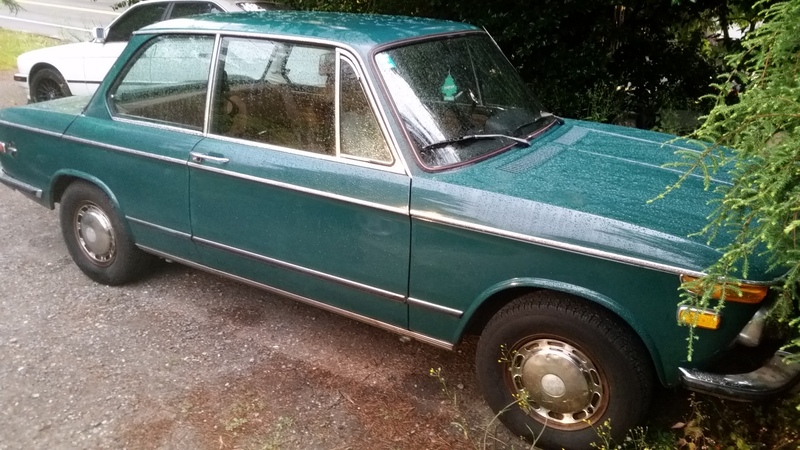 ...and "Broke Bucket presents: Chambers Bay 2016" (lots of VWs, some other euros) on Sun Aug 28th 11-3 at the Pierce County Environmental Services Bldg. ALL OF THESE are on events on Facebook, so you can look them up and get more info about how to get around. Don't wait for people to make 2002-specific meets - get out there and make EVERYONE jealous. Anyway - here's pics of my new lil car. See ya all around. On Instagram @bimaholic. Hi all, in hope that someone in the PNW still looks at this thread. I just drove home last weekend (730 miles in one day!) in a really nice 76 I got on Bring A Trailer. I used to do a lot of SCCA club racing/ trackdays/ autocross but my two girls have taken up most of my budget for that. So to have fun I got a car that I always liked. Really interested in where to go for work, paint, parts and so on. Hope to meet some of you one of these days on Alki, I'm in Puyallup. Any events coming up? Welcome....you may want to contact Patrick O'Neil Midnight Autosports, he is West Seattle (a lil far you granted) but he is the guy you need if you need mech. work done. On the downside he is waiting to move into his new digs so it maybe a while. Hey I'm from Spokane, I got two 2002s. I'm halfway through my new frankenmotor build. Just assembled the bottom end- will be lh2.2 fuel injected, and boost in a month or two..
Hey all! I'm from seattle. I just started a rebuild project in the blogs. I've owned my 02 for over 20 years and really am not connected to the local community. I would love to meet other 2002 owners. Just signed up. I'm a new member from Mukilteo. 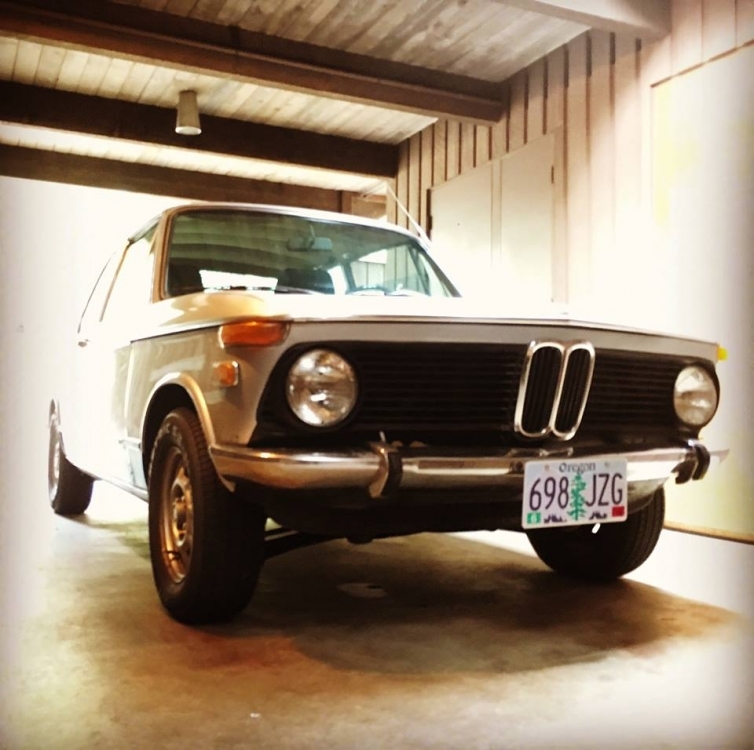 I've been a 2002 fan ever since my cool great uncle showed up at my parents' house in 1970 with a red 1969 2002. Til then, I though the 1969 Mustang was mankind's highest achievement, but a spin around the block in that '02 made me think a bit differently. When we got married in 1981, my wife and I owned a 1974 2002, Inka Orange, that my wife called Genevieve. "Genny" had started out in Wisconsin before moving to St. Louis, where I bought her. Despite being only 7 years old, the car was already a total rust bucket, leaked whatever oil it didn't burn first, had a horribly slipping clutch, and crashed out seats. That summer, I went through the car as funds would allow, rebuilding the bottom end--without removing the block--in my parents' car port, and replacing the rear diff and the leaky gas tank, the latter the day before the wedding. On our way to our honeymoon in New England, Genny overheated on the Connecticut Turnpike while waiting in a long line at a toll booth. My wife, game for any car misadventure, and I pushed the car for about a mile in the hot summer sun. Other than that problem, Genny served us well during the trip, even hitting an indicated 105 mph on a very long, straight stretch of deserted New Hampshire highway. Once back to St. Louis, because of the awful rust issues, I quit putting money into the car and traded it on a new RX-7, receiving a trade-in credit for $800. Fast forward a lot of years and even more cars (2 Fiats, 3 Lotuses, 4 Corvettes, a dozen Porsches, etc. 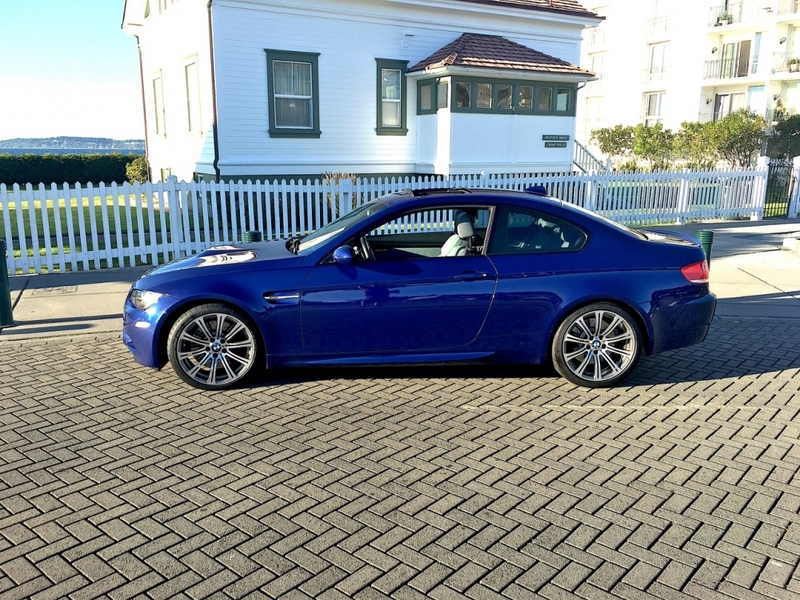 ), and I now have a 2008 BMW M3 (shown). But the urge for another 2002 is again rearing its head. I've done a lot of mechanical and paint work on my cars, built several track/race cars, etc., and now I'd love to get another '02 to build into a semi-modern hot rod. 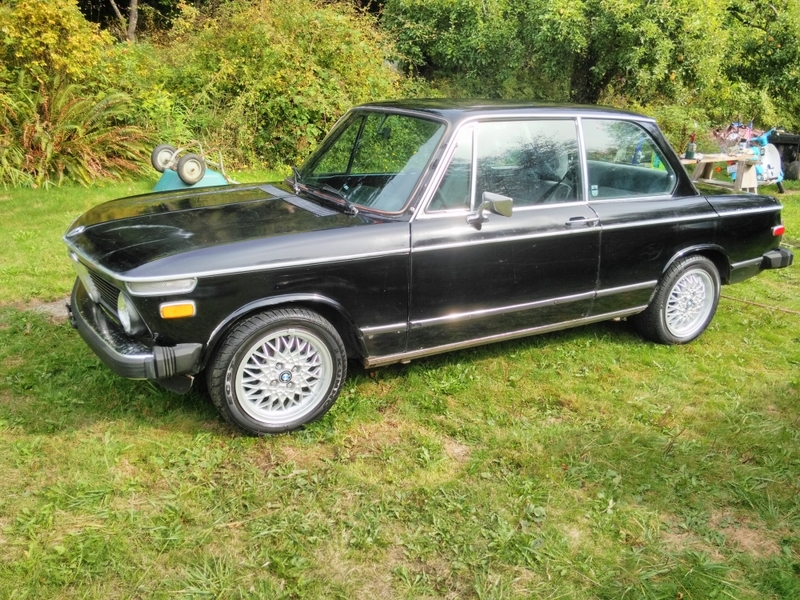 I'm thinking about a 5speed conversion with a modern FI engine, air conditioning, good brakes and suspension, Minilite wheels, etc. 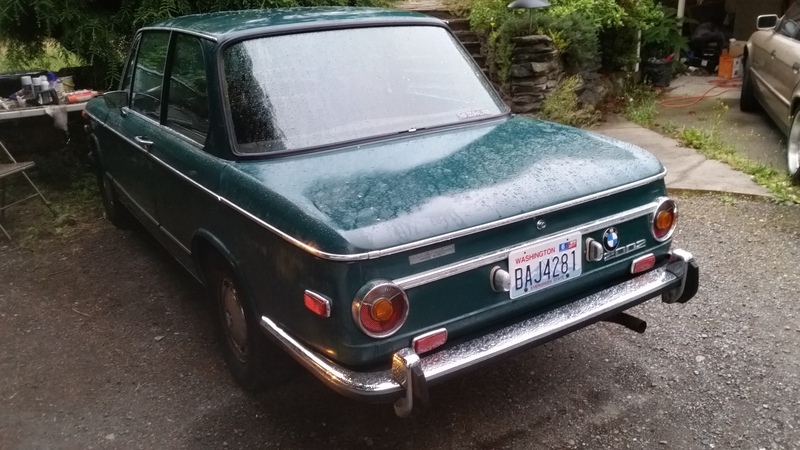 By the way, if there are any members in the Seattle area with such a car already built (or any 2002 types), I'd love to see your car. I'm looking forward to checking out this site for inspiration. I would recommend you stop by Midnight Motorsports and introduce yourself . Patrick the owner is a great guy and you can check out some of the cars from the neighbourhood. There is always a few tasty examples in there. Good luck with your search too! Greetings. I'm Eugene's newest 2002 owner. Brought this bone stock '74 home last Friday. Solid body, runs ok. has a few projects. Apparently it spent sometime in UGM vehicle donation lot in Spokane. If you 2002 owners in Spokane area have any history on it, let me know. 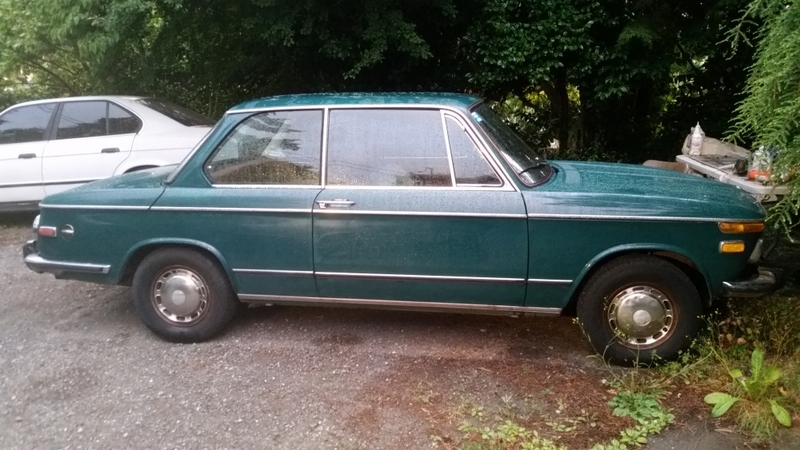 My plan is to restore to original/period spec while driving it, touring and road rally events. It won't be a daily drive and will live in a garage, driving it a couple times/week. I've wanted a 2002 for almost 30 years! Hope to drive her around more next year. ahh, the one off BaT last week, congrats!